On Sunday 01 October I attended the Olympia Beauty Show in London. 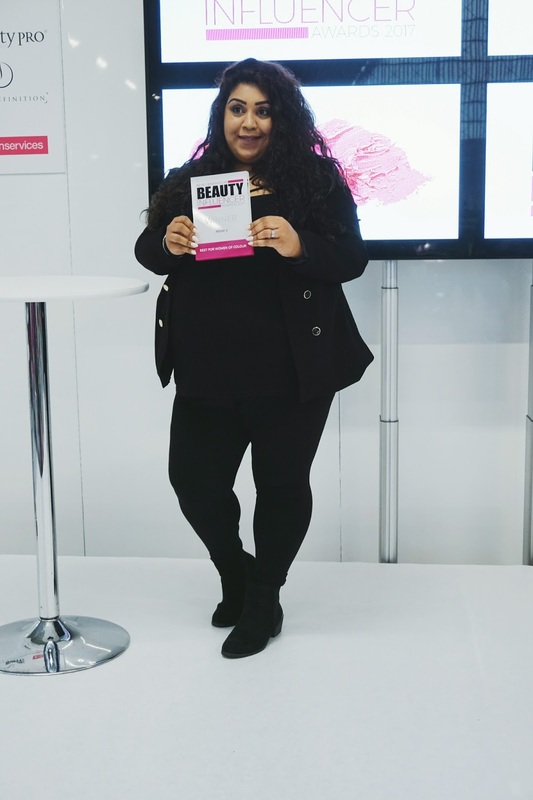 Olympia Beauty is the UK's largest trade event with over 500 professionals showing off their brands, products and services. It is also a good place to interact with like-minded people and eye up the competition. The event is free to attend when you register for tickets in advance, however it is trade only (with the exception of press tickets). 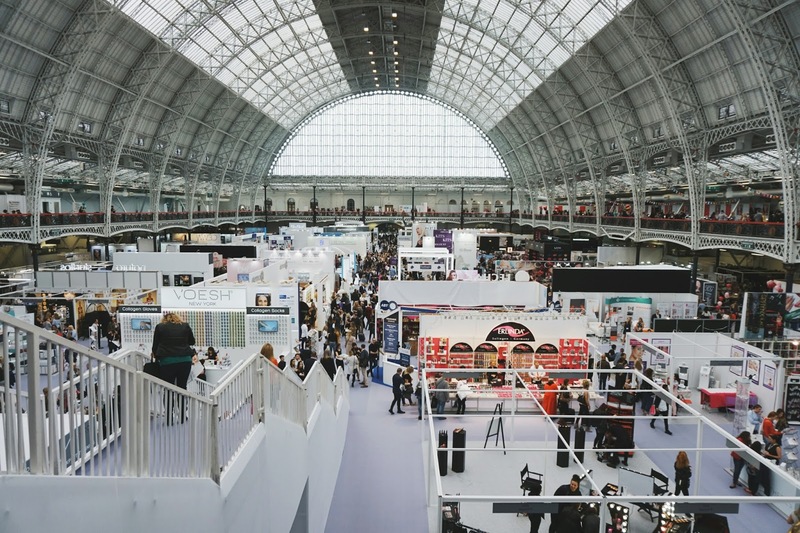 Next to all the amazing brands, the Olympia Beauty Show is also the home of the New Generation Beauty Influencer Awards, and a number of competitions such as The Lash Games, Nailympia and The Brush Wars. For me, the reason to attend was obvious: the awards and the chance to meet some of my favourite bloggers! The Olympia Beauty Show took place at Olympia London, so for me it meant a train journey from Birmingham. I managed to get some cheap tickets and I quite like travelling by train and just getting some work done. When I got to London, it was pretty much follow the crowd! The queue was clearly visible, but moved along quickly. Once inside, oh my goodness there was a whole new world opening up for me! 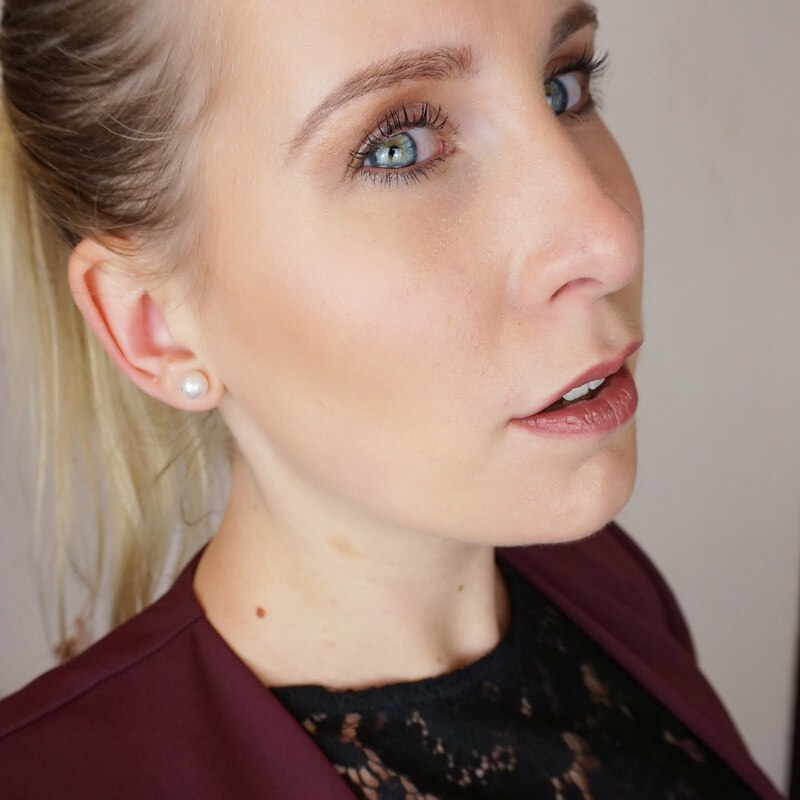 Imagine lash extensions, makeup brands, but also acne removal and other cosmetic treatments. Definitely a world I had not experienced before. The ground floor was covered with interesting stands, with an upstairs gallery looking out over the ground floor. 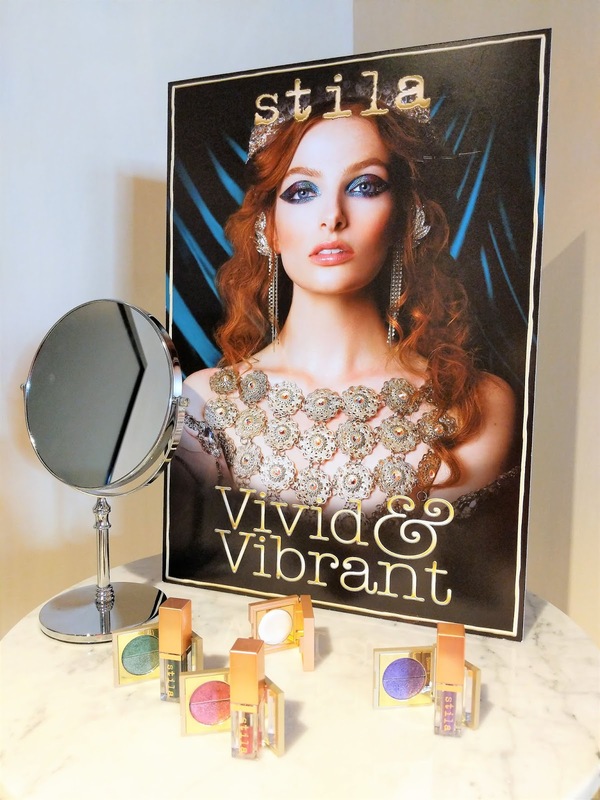 The gallery was where it all took place - starting off with the Beauty Influencer Sessions. A panel made up of Spa and Grooming writer Mark Smith (The Spa Man), Award winning Beauty Blogger Simone Partner (Eltoria), Fashion/Lifestyle PR and Instagram Expert Marie Louise Pumfrey (MLPR) and Influencer PR Davina Kumal (Davina Kumal - Blog), talked about how to get noticed and how to make your blog stand out. Some of the information was not necessarily new to me, but I did find that attending sessions like these really inspire me and motivate me to work harder and do better. 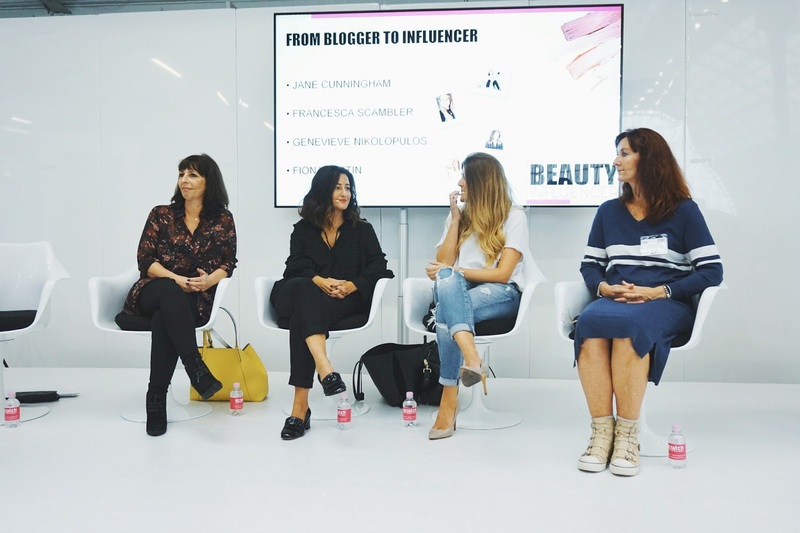 The second session I attended was with an Influencer panel consisting of Beauty Blogger Jane Cunningham (British Beauty Blogger), Talent Manager Francesca Scambler (Gleam Futures), Communications Consultant Genevieve Nikolopulos (The Beauty PR Experts) and Instagram Consultant Fiona Austin. 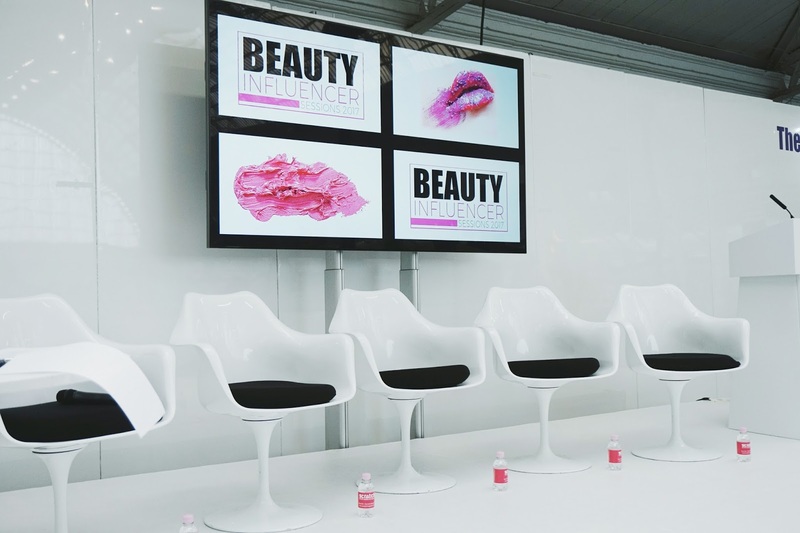 This session was all about how to become a top beauty influencer and making it a full-time career. After the sessions it was time to find out who the winners were of the New Generation Beauty Influencer Awards 2017. 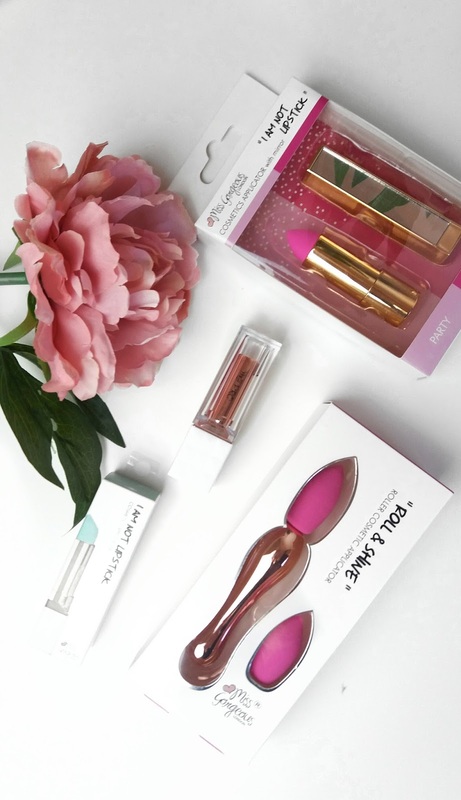 11 Categories, from Women's Beauty to Best Multimedia Influencer. This was such a great thing to experience. I got to meet some very inspiring bloggers such as the lovely Nishi (Nishi V), and I saw firsthand that hard work is paid off! This is one of the reasons a lot of us blog - to share our stories, but most of all inspire others! What a great community, and I am very proud to be able to call myself part of it. I ended my day with the Beauty Influencer Trail - seeking out top brands and their representatives to find out about their new products and build those brand/blogger relationships. I definitely learned about some great new brands and I can't wait to share some of their products with you. I had a great day at the Olympia Beauty Show. Definitely worth a trip to London and I am already looking forward to attending next year's event! Has this blog post piqued your interest and are you thinking about attending? 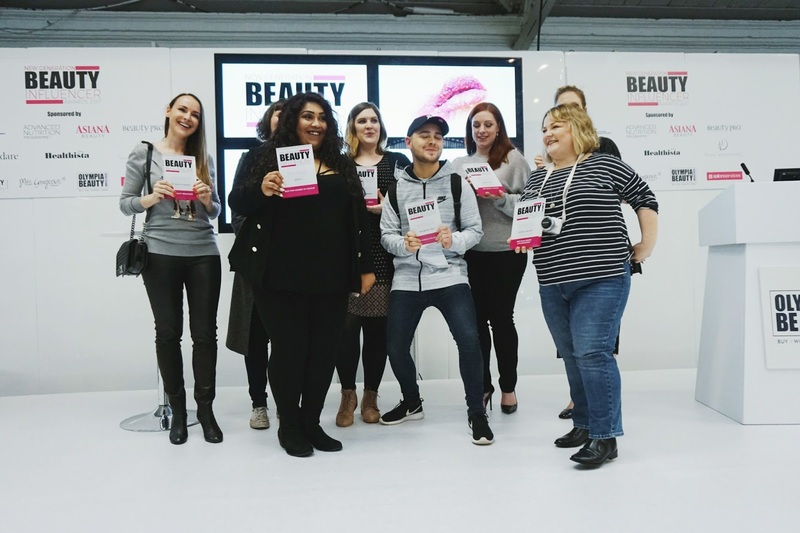 Find out all about the Olympia Beauty Show here. Aww Annamieke, this is so lovely to read! Thank you so much for your kind words - it means a lot. 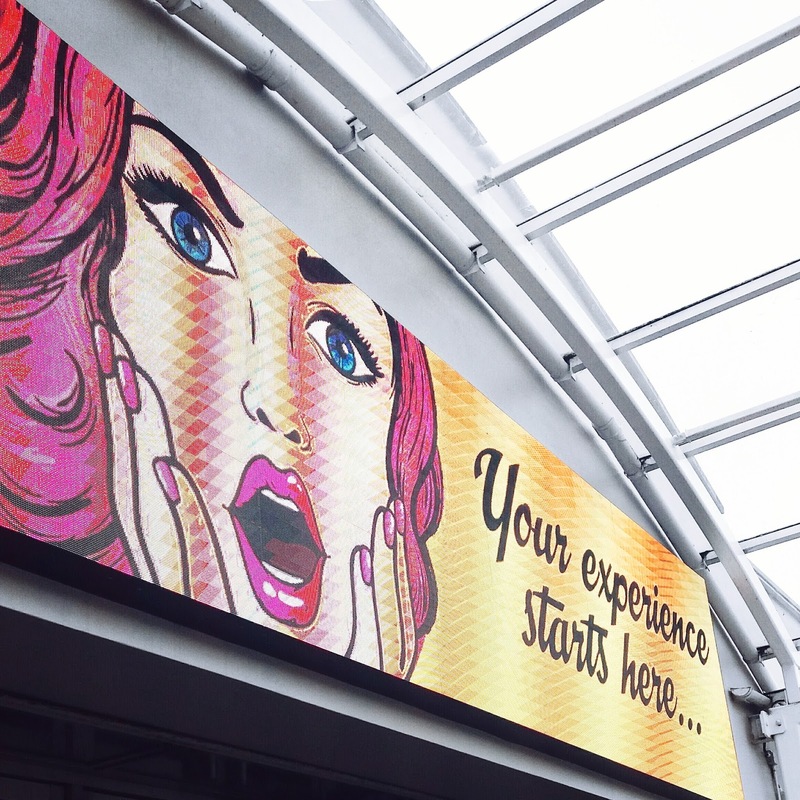 Sounds like you had an incredible day at Olympia Beauty.. I wish I'd arrived in time to hear the panel speak, it sounds like it was really informative!